Recorded: In 1983-1984 at The Manor Studio, Shipton-on-Cherwell. 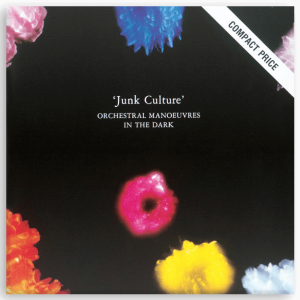 Junk Culture was first aired live during the late 1983 tour. The rhythm track used is from the Emulator library and was also used by Vangelis for the soundtrack to the film Bladerunner. Tesla Girls was the third single released from the album. The title was another suggestion by Martha Ladly. 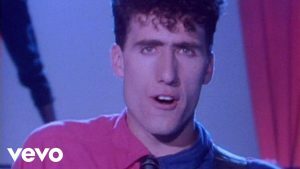 Locomotion was the first single from the album. The song was written in the last week of the Montserrat sessions. Apollo was the last song written for the album. After a late night disco in Brussels on New Years Eve, Andy began recording the backing track for some lyrics he’d written about a woman he’d met in Montserrat. Never Turn Away was the fourth release from the album. The song was not originally going to be a single, but Virgin convinced the band to release it. Love And Violence was, at one time, considered as the title for the album due to the balance between love songs and the more aggressive tracks on the album. Hard Day was a song the band had originally written the previous September but had shelved. 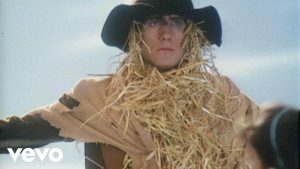 All Wrapped Up was originally written in demo form in Scotland in August 1983. An early version was performed during OMD’s September 1983 tour. A new version was done in Montserrat and, vocals aside, bears no resemblance to the original demo. White Trash is about an ex-friend of Andy’s. Talking Loud And Clear was the first track written on the Fairlight and was originally written as a test piece. It was also the second single taken from the album.